Every business owner knows the importance of having a welcoming and professional workspace. Things like dreary colors and peeling paint can be a major hindrance if you want to draw in more customers, impress business associates or attract quality talent. Call A-1 Painting and Performance Films for the services of a commercial painter in Woodinville, WA if your business premise needs to be revitalized with a fresh coat of paint. We are licensed, bonded and insured commercial painting contractors equipped for handling any big or small paint job. To get started sprucing up your workplace, schedule a visit by our commercial painter for a free on-site estimate. We offer high-quality painting services for both interior and exterior projects. 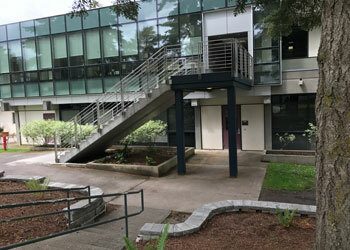 Our capabilities as commercial painting contractors in Woodinville include working in new constructions as well as re-painting existing properties. Every commercial painter employed by us has extensive experience in handling paint jobs for businesses of all types and sizes. Being seasoned local commercial painters, we appreciate the complexities of working in business places. We also assure our customers that our commercial painter will work discreetly and not compromise their business confidentiality. The objective of our services as commercial painting contractors in Woodinville is to provide the highest possible quality without charging the highest price. The quality offered by us is not limited to the technical aspect or workmanship on the job but extends to customer service as well. A BBB-accredited commercial painter, we are known for an extremely customer-friendly approach. Customers are the top priority for us and we are committed to their 100% satisfaction. When it is time to hire a commercial painter in Woodinville, look no further than A-1 Painting and Performance Films. Call us at (425) 214-1599.